Locally, a group of us have taken a grassroots approach to the #shopsmall movement. The Charlotte Chamber of Commerce, along with the Capital Regional SBDC is organizing Shop Small With Us – Love for Charlotte Businesses. 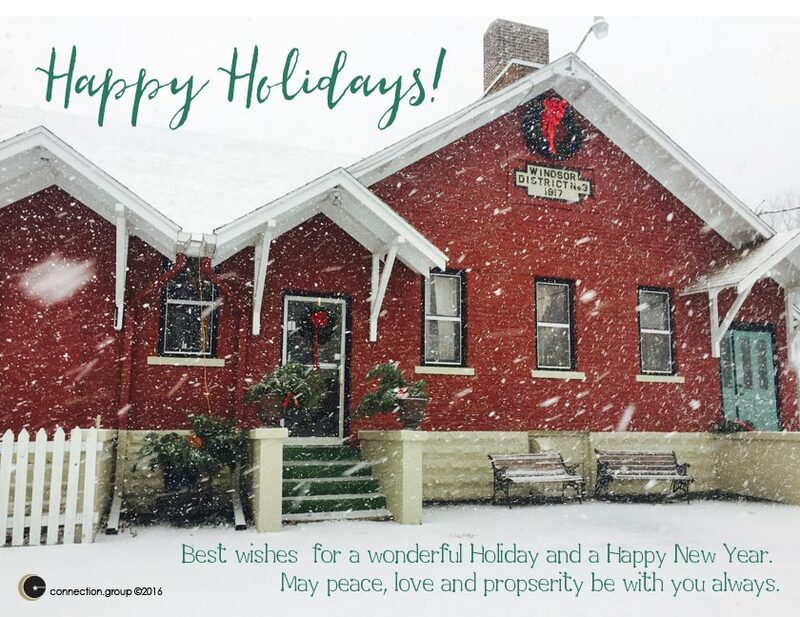 From yarn and quilt shop specials, a visit from Santa, s’mores, and a free kids movie at the local theatre, Charlotte will be a fun-filled destination for families. I’m happy we played a part in the planning and graphic design and social media promotions we donated for the #shopsmall movement. Personally, I prefer the service and unique gifts I find from small businesses. Professionally, it is primarily small businesses who keep us growing. From brand identity and management, web design and maintenance, and social media management, the bulk of our customers are small businesses. Regardless of where you are in the country, or the world, when you are shopping for goods and services, remember to start small. I’m going to be self indulgent this month. My favorite social media share recently is the one on the right. 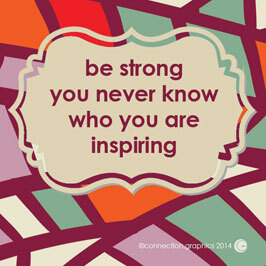 I love a good quote, I love inspiring words, add cleaver design and beautiful graphics and I’m a fan for life. We have created social media graphics and Facebook page covers you can use for free. Find the ones that inspire you, then share them to inspire others. Keep sharing and we will keep creating! As a graphic designer I have been known to break a few corporate rules. However, I don’t get too crazy when it comes to business card design. At least when it comes to the shape and size of business cards. As in most industries, there are standards to follow that help consumers and industry professionals. Challenges, expense and frustration occur when products vary from industry standards. An innovative product may be deemed unusable. A company who chooses to break from the norm may be striving to create a new standard (Hello Apple iphone7 headphones). In other instances they may not have compiled the proper research. Or they are just going rogue. We love the practice of Feng Shui here in the office. Our most popular blog post for the longest time was Bring Good Energy to Your Business – Feng Shui Your Brand. 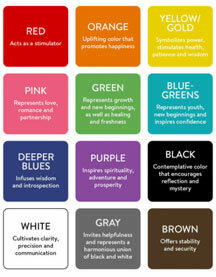 We stumbled cross (aka – got lost in Pinterest for a while) this Feng Shui color meaning infographic. Check out your brand visuals. Do the elements flow, does your color suit your brand personality? Is it time for a Feng Shui cure? Give us a call, let’s map it out. You replied to the spammer. Oh no! First of all, when you reply to them, you inadvertently whitelist their email address. They can now send you every diet pill, designer watch, or Prince Abdul email they would like. Plus they now get to share your email address with all of their spammy friends. Colleagues cc you in messages – Every person cc’d in the message will have your email address. These people may not be spammers (or are they?? ?…) If any of the recipients email addresses are hacked, your email can be found and harvested as well – increasing your susceptibility to spam. You didn’t read the small print. Some sites you subscribe to will sell your email address to other companies ( other spammers). You say you only release your email to reputable companies? Sadly some reputable companies have dishonest employees who can make an easy buck selling these lists. The best response to spammers is to identify it as spam in your mail client – click junk and be done. If you mark something as spam multiple times your email reader will eventually get smart and send it straight to junk. *If you have emails you subscribed to and you no longer wish to receive them you can safely unsubscribe. Constant Contact, Mailchimp, Emma, etc. are legitimate services that will unsubscribe you safely. Don’t mark these ones as junk. When you mark an email as junk it does effect the grading of that email list negatively. Good luck cleaning those inboxes! Do you behave this way on social media? We’re all a little guilty…. 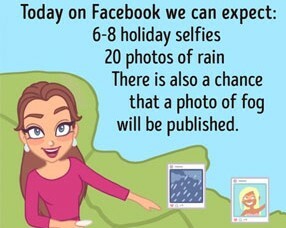 You may recognize yourself in a few of these cartoons from this recent post on our Facebook page. Want to see how it works? How about reviewing us?! Please go to this link and be the first to review us. Create an email requesting a review. 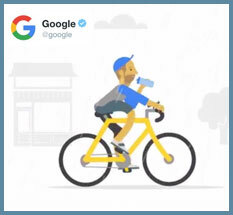 Search your company in Google search. Click on “Write A Review” or “Be the First to Review” under your company profile. Paste it into the email (step 1) as the link to take them to review. Send the email to an individual customer or BCC a group of customers. Send the review-request email (from Step 1) to the happy customers from step 6. 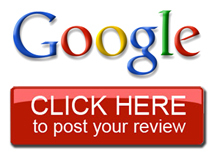 If you have a Google Business page, you can be alerted when you get new reviews. Respond to reviews within 24 hours! Do this on the review site, in public. Review generating tools can be used also but are not necessary especially when contacting indivduals. Our offices will be closed July 4th. Have a happy and safe 4th of July! Do You Have A Summer Tradition? An early June event at Herman Miller Headquarters in Zealand, Michigan raised the discussion of Herman Miller’s Annual Company Picnic and corporate retreats. 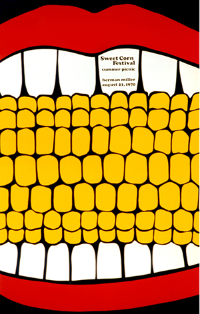 Commemorated each year with a newly designed poster, the Herman Miller Annual Picnic is well recognized with business and design audiences. Our plan for Connection Graphic’s Annual Retreat is to balance recognition and education with fun each year. What was the more fun you’ve had? Hopefully you and your team will find a place away from the office to connect for planning, pausing and play each year. Enjoy the summer! I often joke that outdated websites are like hairstyles, one glimpse and you know from which decade they came. Connection Group started offering website design for businesses and organizations in 1998. Sadly, some of the innovative companies and organizations who jumped into the internet then are still working with the same, but now very outdated, website! Others who didn’t understand the importance of updating websites have long since closed their doors. Did you ever see our Adobe Flash website? It’s still fun to look at… although Flash was so difficult to what I remember most about this website is how long it took to create it and how much it cost… now obsolete. That’s business sometimes! Keep Current Customers – How? Keep in touch. Check in with them. Are they happy with your service? Do they have any concerns with quality, value, service…? Get More Customers – How? Ask for referrals. If customers are pleased with your work ask them! “As you know I am working hard to grow business, do you know anybody who could benefit from our products or services? Sell More to Your Current Customers – How? Do you have similar products or services that would be of value to your customer? If a service can be complimented by another service you offer, make customers aware of it. Consider bundling them together and offer existing customers special rates. This month on our social media posts we have been having fun with fonts and typography. Do people other than designers care about fonts? Of course they do! When we proposed the three logos to the entrepreneur, the discussion was primarily around fonts. Just look at how a script font, as compared to a serif, or sans serif font changes the feeling behind each of the concepts. Need some help with font choices, design or image creation? Contact us this month and receive 15% off graphic design services. Which one do you think was chosen? Vote on Facebook. 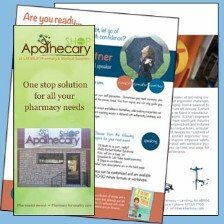 Which is Better Brochure or Sales Sheet? 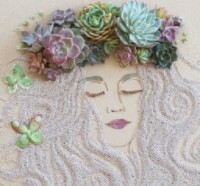 Be creative – Add content viewers will enjoy and share. Don’t sell all the time. Develop campaigns – Organize shareable content, create contests. Add a user generated content (UGC) approach to campaigns. Use Facebook Ads: If increases likes is your goal, choose ads that gain page likes. Review analytics: Who is visiting, and when helps you know what and when to post. Are You Fluent in Graphic Design? 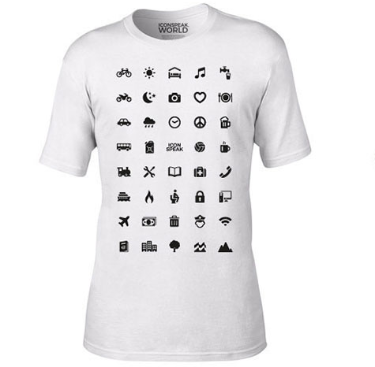 Posted to Connection Group Facebook page earlier, this traveller T-shirt with 40 icons lets you communicate in any country even if you don’t speak its language.